The theologian James Alison calls this short sentence an “earthquake” statement, because it represents a huge shift. Peter has come to the conclusion that, in Christ, all of the ways in which we declare one another unclean or profane have come down. The categories of acceptable and unacceptable human beings have collapsed, and there is no longer any such thing as insiders and outsiders. There are just human beings, made in the image of God and dwelling on the inside of an unimaginably generous divine love. It recalls a passage from St. Paul’s Letter to the Galatians, “There is no longer Jew or Greek, there is no longer slave or free, there is no longer male and female; for all of you are one in Christ Jesus.” (Galatians 3:28) Paul had similarly come to understand that in Christ, the distinctions between people that we tend to make such a big deal about disappear and become meaningless at least insofar as these distinctions are used to make value judgments about ourselves and others. This collapse of categories is indeed at the heart of the New Testament’s vision of the kingdom of God. James Alison suggests that to live and see the world in and through Christ establishes a new kind of unity, a unity which is created not at the expense of some other person or group (which is the way human beings normally create unity), but which is rather rooted in this deep appreciation of our inherent value before God. It is a sad thing that the church, which is meant to be a sacrament of this new sort of unity, of this kingdom of God, has often and continues frequently to fall short of actually manifesting this unity. I have seen it in glimpses and moments within Christian communities, but it is hardly a permanent reality. It is not surprising that so many people have so little use for church, given the ways churches so often perpetuate the categorization of humanity rather than seeking to break down those categories. For Peter and for Paul, I think their appreciation of the nature of the kingdom of God was also a struggle to live into. Paul tells a story on Peter, in which Peter has come to visit Paul and one of his Gentile communities. When a group of Jewish Christians comes from Jerusalem, Paul says that Peter moved away from the Gentile group, because he was embarrassed to be seen eating with them in violation of the tradition. Paul castigates Peter for it. (Galatians 1:11-14) At the same time, Paul himself had no difficulty, in various places in his writings, drawing lines between groups and people and creating categories to put them in. It is a sign, perhaps, of how unsettling this new reality that Jesus opens up for us is to us. In many ways, I think we deeply long to live into this new unity. At the same time, it terrifies us. Jesus’ own life, death, and resurrection sought to show us that we need not be terrified of occupying this new space, for it is the space that God occupies. And yet it is so easy for us to fall back into familiar patterns of rivalry, defining ourselves in terms of and at the expense of other people. The fact that this part of our spiritual journey is difficult, however, should not deter us from trying. For if we can bring ourselves to truly live in the spaciousness of Christ, that will create spaciousness within us and within our world. Most people probably have some familiarity with the term, “original sin.” It is a theological concept that is rooted in a story found in the book of Genesis, a story that is probably rather well known to you: the story of Adam and Eve. 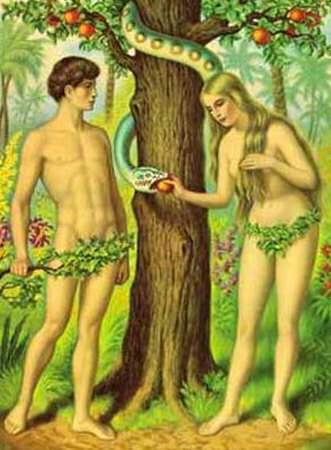 You will remember, I’m sure, that Adam and Eve are depicted in that story as having disobeyed God by eating the fruit of the tree of the knowledge of good and evil. As a result, they come to be embarrassed and ashamed of certain things about themselves, and once God discovers what they have done, the story says they are cast out of the Garden of Eden. What is interesting to notice about the story, and about the concepts of original sin that were built on top of it, is the role into which God is cast. The story does indeed depict human beings as having screwed up, as having indeed disobeyed God. So, the fault for our predicament is placed squarely upon us. But God, in consequence, is depicted as having been totally enraged by our human faultiness, and delivered what is said to be a just punishment upon us. In other words, God acts like a very strict parent who has little room in his heart for understanding, forgiveness, or compassion. God simply casts human beings out of paradise into a life of difficulty. But what if this is not really the case? The theologian James Alison suggests that quite often in Scripture, and particularly in the Hebrew Bible, God is put into roles that depict God as violent or violent-approving, judgmental, rigid, and the like. But he also believes that the deeper question that lies beneath the Hebrew Bible is this: do these stories really tell us the way God is, or do these stories contain a fair bit of idolatry — that is, us projecting human behaviors onto the divine? Indeed, as the Hebrew Bible moves forward in time, its writers seem to become less and less confident about how much they truly know who God is, and God is depicted more and more mysteriously and transcendently. 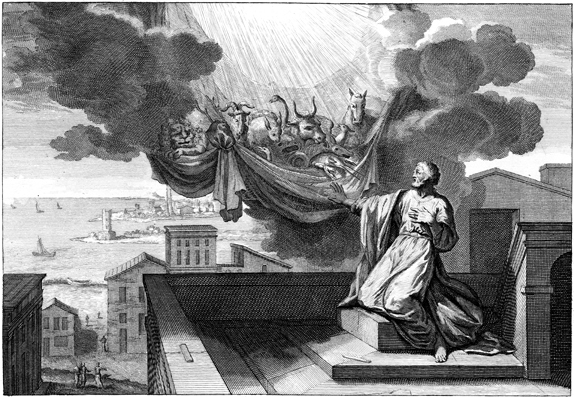 Perhaps, in the case of this early and ancient biblical story, the authors (and subsequent interpreters) have projected onto God their own sense of guilt and shame and, through the lens of that sense, have imagined that this distance that seems to exist between ourselves and God, while inspired by our own wrong-doing, is nevertheless part of some judgment of God upon us. Perhaps the God of the story of Adam and Eve seems to be so lacking in compassion for humanity because human beings have so often been lacking in compassion for ourselves. Alison suggests that the story of Jesus is meant to show us something different. In the life, death, and resurrection of Christ, we are meant to see that far from being a harsh judge, God has always approached us, from the very beginning, from a place of forgiveness. Christ is meant to teach us that the dualistic systems of good and bad, right and wrong, and the sense of judgment and punishment that flows from them, is the way in which we human beings have chosen to live, not the way God intends us to live. And certainly not the game that God seeks to play with us. In Christ, we discover that God approaches us in love that is of an almost unimaginable depth. Rather than waiting to judge us for our failings, God embraces us in our failings to show us that we do not need to be ruled by them. God’s forgiveness is offered to us readily: the problem is in how hard it is for us to really accept it. There is no doubt that human beings have a tendency to put distance between ourselves and the divine. There is also no doubt that God is always seeking to overcome this distance. Our “original sin” does not meet God’s harsh judgment, as has so often been thought and taught. Rather, it meets God’s first forgiveness — and that is good news, indeed. This week’s fiasco in Washington is yet another symptom of something that has been going on in America for some time now: the undoing of community. As Americans have lived through the past few years of “culture wars”, social change, economic downturn, and climate change, we have found it harder and harder to be a cohesive community. The work of building community is never easy, and the United States has not had cultural and political cohesion for a long time, if ever. But we do seem to have entered an unprecedented phase of community disintegration. Increasingly, large numbers of us simply do not seem to realize that there is a larger sense of goodness that might personally cost us something but serve the greater community. 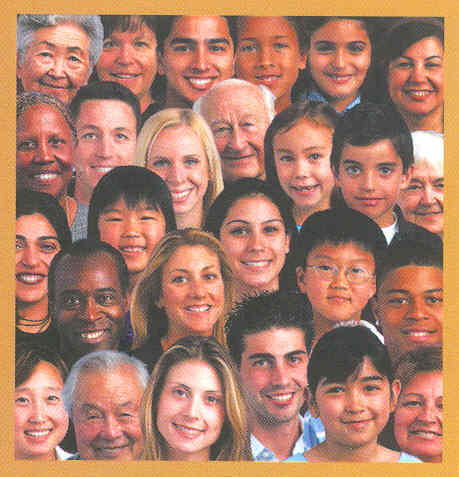 More and more, large numbers of us seem to value community only if it looks, thinks, and acts like we do. And since we live in a nation that is filled with all kinds of people who look, think, and act differently from one another, the net impact of this narrower attitude is that community on a wide scale begins to break down. It is easy to put this week’s government shutdown — and other associated woes — in the laps of politicians. I have done so myself. However, as I think about our current situation, it has become more and more clear to me that our politicians are really like a bunch of mirrors, reflecting back the very voters who put them in office in the first place. The genius — and the risk — of democracy is that government is only as good as the people who are elected to run it. We complain about politicians as if they were somehow imposed on us by some outside entity. And yet, if we want to know who is responsible for putting them in office, we need only look in the mirror. It turns out that the enemy is us. In an earlier era, people learned a lot about what it meant to live in community through their religious traditions. The various faith traditions have more experience in making and maintaining community than any other entity. Sadly, too many religious people and communities among us have squandered that heritage and that collective wisdom by succumbing to the same temptation that afflicts so many of our people: the desire to make community that only looks, thinks, and acts like us. And so many of our religious communities end up reenforcing the divides that separate us rather than calling us to a higher purpose, a grander vision of human community. Yet, it is all there in our deepest spiritual DNA: the insistence of the Hebrew Bible that the poor and vulnerable be cared for; the witness of the Gospels that the kingdom of God includes everyone, even those we would least like to acknowledge; the radical communal life of the first Christians in Jerusalem. Community is created when we join with our neighbors, and Jesus was pretty clear about just who our neighbor is. Americans have been spending a lot of time these past few years dwelling in cultural, political, and religious gutters. It is time that we seek to elevate ourselves and our community to embrace a bigger vision of what it means to be a democracy. We need to see community in all its richness and diversity and not be afraid, but rather recognize that it is in that very diversity that we find a higher calling and a higher purpose. It is past time for our tribal warfare to end, and for a new unity to begin.